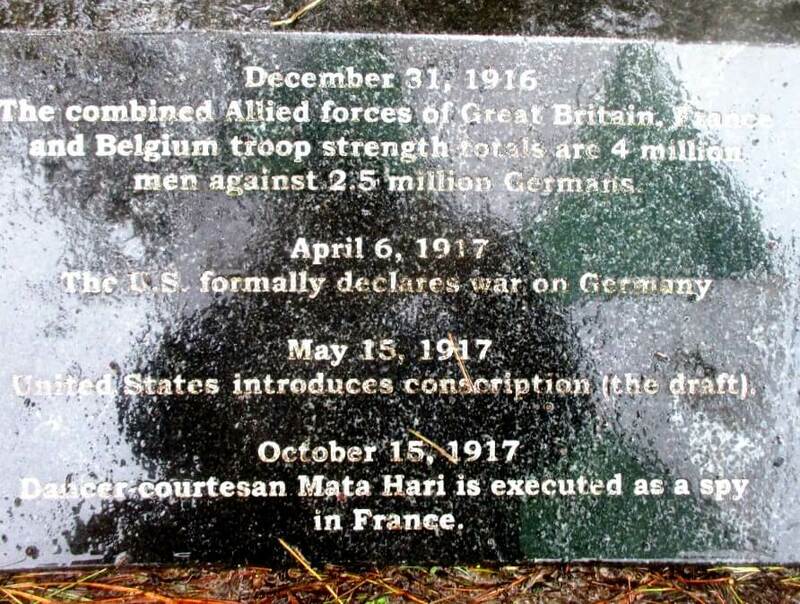 100 years ago today, the United States declared war on Germany in what now has become one of America’s forgotten wars. The unfortunately misnomered, “War to End All Wars,” was a world catastrophe whose continuation 20 years later led to even greater catastrophe. About 117,000 American soldiers perished in the sixth months of intense combat: 53,402 battle deaths and 63,114 other deaths in service, many from Spanish flu — a significant number but one that pales compared to the millions who fell in the killing fields of France, Turkey and Russia. Nonetheless, Rochester suffered. About 23,000 Rochestarians served. 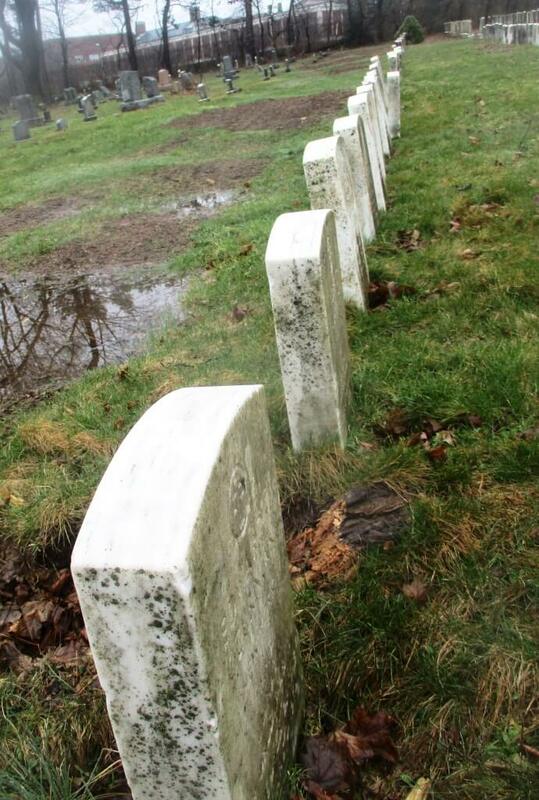 And, as reported in recent article by Jim Memmott, A century later, remembering the dead of World War I , at least 609 Monroe County soldiers never returned. But the war itself remains on the margins of American collective memory. 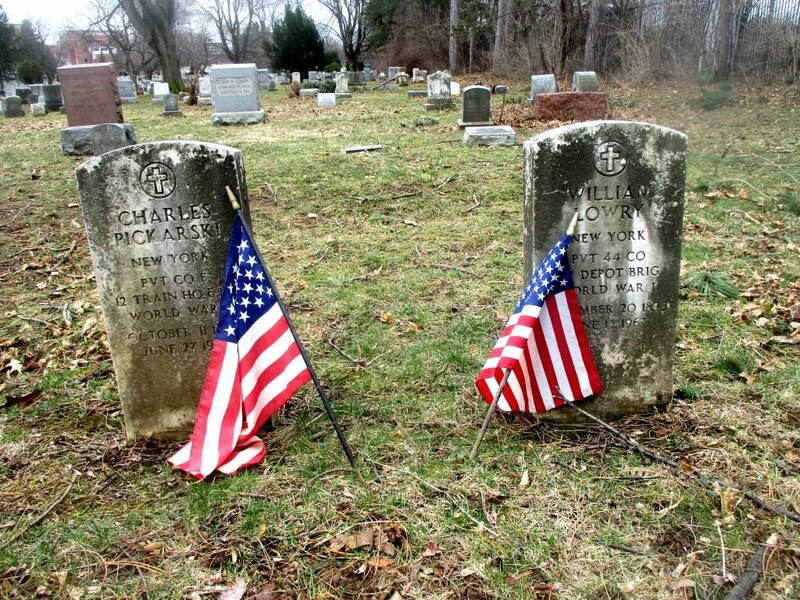 By comparison, other American wars are etched into the Rochester landscape. The Civil War commemoration, the Soldier’s and Sailor’s Monument, is the centerpiece of Washington Square Park. 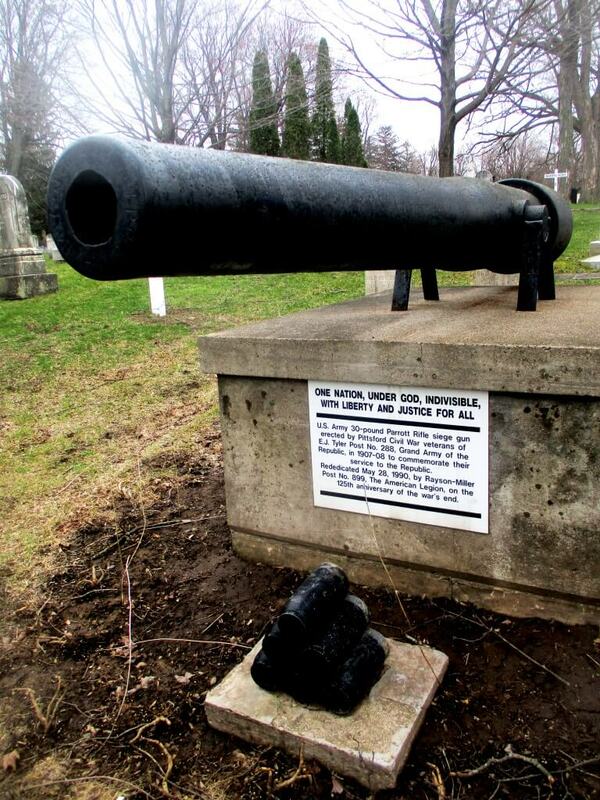 The Civil War cannon in the Pittsford Cemetery is one of many in the area. 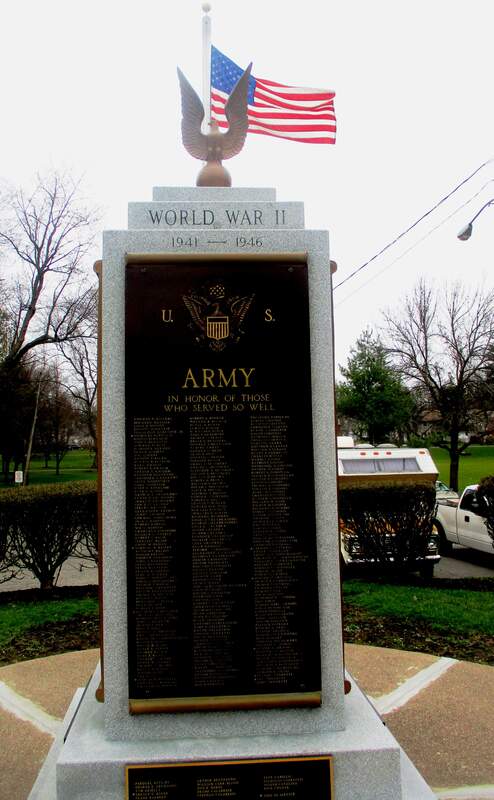 Memorials to WWII can be found from Ontario Beach to East Rochester’s Edmund Lyons Park. 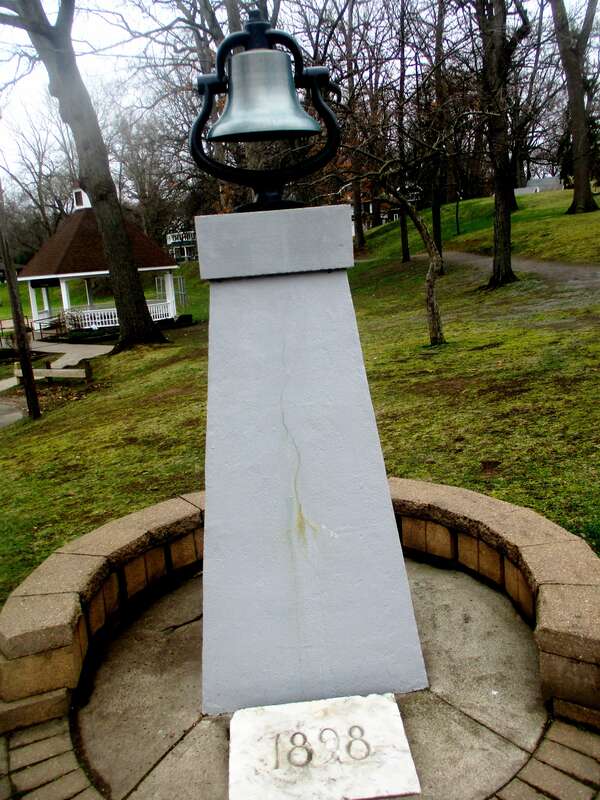 The Vietnam Veteran’s Memorial in Highland Park is a vivid reminder of that awful conflict. 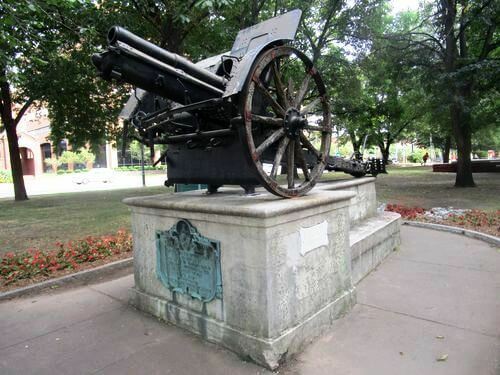 By contrast, in the early years after the Armistice of 1918 only one major monument was erected, in Washington Square Park (now under repairs), — an Austrian cannon captured by the Italian army at the battle of Battle of Vittorio Veneto in which only a handful of US troops fought. 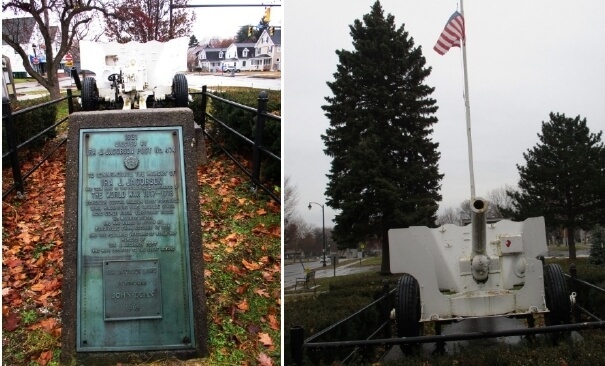 By comparison, the Spanish-American War twenty years earlier in 1898 — the battles lasted about three weeks in which 364 American soldiers were killed — is prominently featured from downtown to Highland Park. Rochestarians gladly accepted trophy cannons from Manila Bay, a tablet displayed in City Hall and the “War Eagle” by the river. 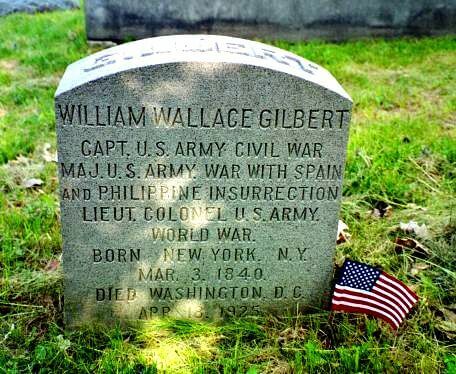 Several rows on graves in Mount Hope are dedicated to Spanish War veterans — almost all of whom never even came close to Cuba — and their wives. 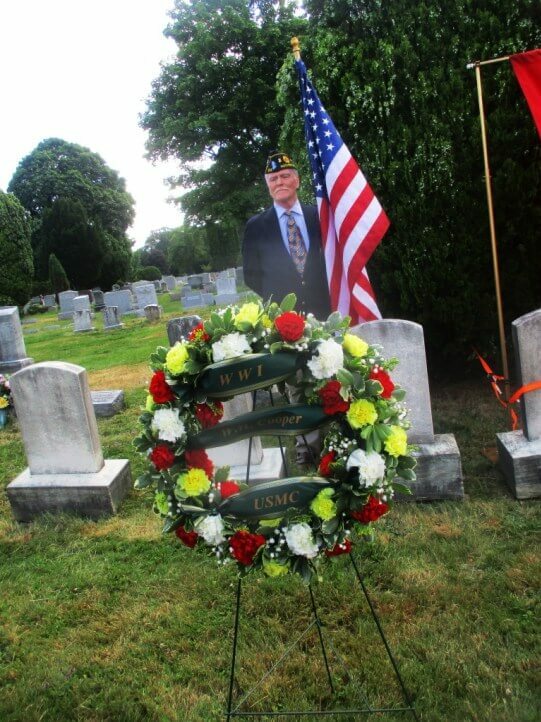 By contrast, in Mount Hope there is a row or two of World War I veterans, but lacking demarcation and intermixed with World War II veterans. In direct contrast to the European experience of the war, Americans suffered very little from World War I. The war was short, caused few casualties, and had limited long-term impact. 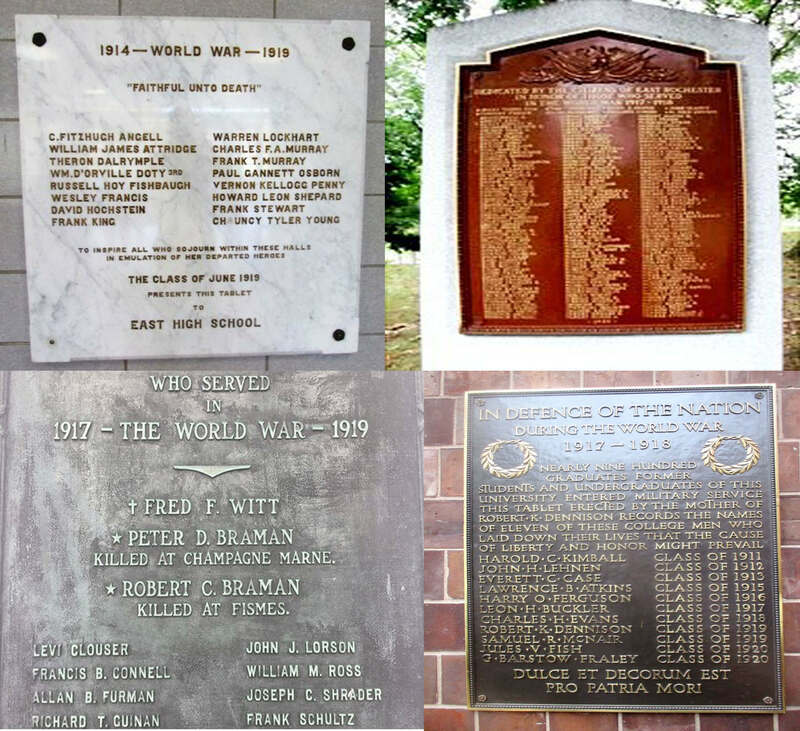 Beyond the limited physical impact of the war, enduring American isolationism and limited national interest in even taking part in the war meant that many people had no interest in memorializing the conflict, seeing our involvement as a bloody mistake. 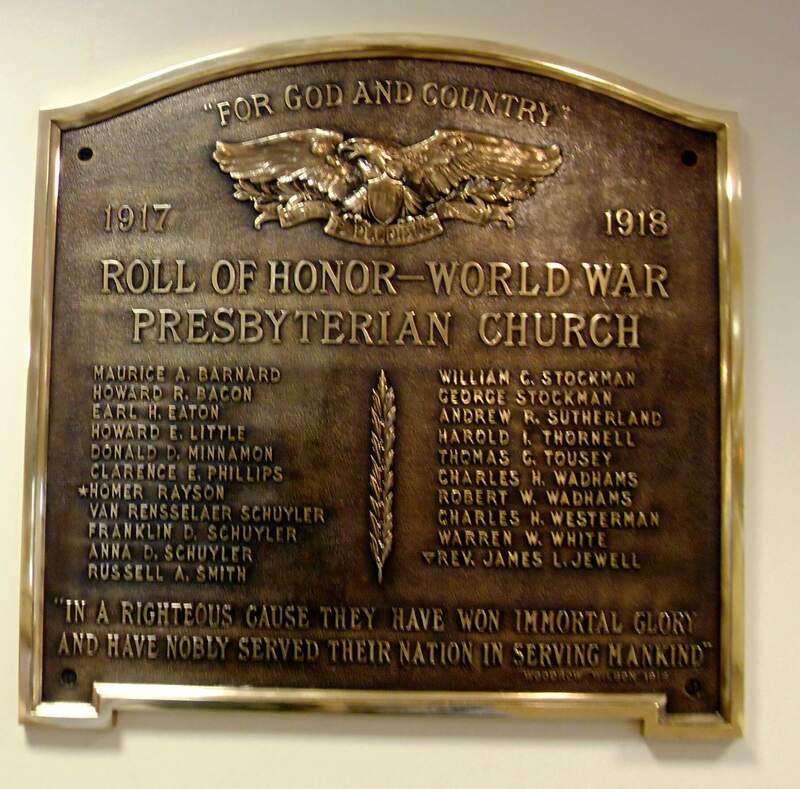 Thus, for Americans, there was little impetus to memorialize the war. The result has been a vacuum of not just memorials, but even of general knowledge about this defining conflict in the minds of most Americans. Nor was Brandon surprised by the overflow of paens to the Spanish-American War only twenty years earlier. That war was even shorter, even more popular, and hardly a bloody mistake — all the ingredients well suited for a nationalistic frenzy — while 1918 left Americans wondering why they sent their sons to die. 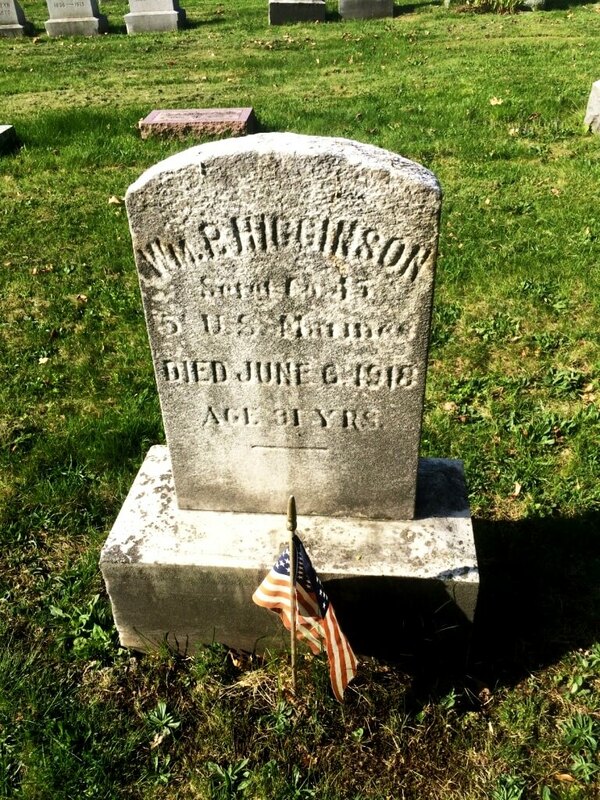 Rochester may have little impetus to memorialize the war for several reasons. First, Rochester was home to a thriving German-American community, many of whom had relatives in Germany and traveled back and forth when they could. Like most German-Americans, they favored American neutrality, fearing a backlash if the United States joined the Allies. For example, a recent USA Today article, “Anti-German hysteria in city during WWI,” describes how in Cincinnati German-Americans were often suspected to be hidden saboteurs or agents of the Kaiser and that German-sounding buildings and streets were Anglicized and renamed. As the war advanced, Rochesterians were warned “Don’t talk about the war in public places where a German spy may gather bits of information of value to the enemy.” This warning was not so terse as our “A slip of the lip may sink a ship,” but it was designed for the same purpose. In February of 1918 the Chamber of Commerce went on record as advocating the death penalty for saboteurs. Resentment over the known cases of enemy sabotage and espionage contributed toward an attitude of suspicion and distrust that tended to make life extremely uncomfortable for German-American citizens, the great majority of whom were absolutely loyal to the United States. In Rochester, however, the situation was not so bad as in some other localities . . . While there were undoubtedly evidences of hysteria, bigotry, and intolerance, it seems evident that the authorities here, and a large part of the population, attempted to be not only fair but generous to the alien. The relative benign treatment of German-speaking Rochestarians described by Black and Naylor is corroborated in Maurice Isserman’s 1977 Rochester History essay “Inheritance Lost: Socialism in Rochester, 1917 – 1919”. Isserman says that not a single Rochestarian was prosecuted under the onerous Espionage Act meant to enforce patriotism and suppress dissent. Furthermore, Isserman shows that Rochesterians were actively involved in the anti-war movement both before and even during the war. Most notably, the famed Social Gospel theologian Walter Rauschenbusch led peace vigils right up to the Declaration of War on April 6th. More dramatically, even after April 6th, anti-war sentiment remained strong during the November 1917 elections for mayor and other local offices. In those elections, the Socialist Party — under a peace banner — elected three constables, two alderman and two supervisors, while receiving 20% of the mayoral vote. In Buffalo the Socialist votes for mayor tallied 30%. In historian Michael Kazin’s recent book, War Against War (2017), a study of the American anti-war movement from 1914-1918, Kazin cites the Rochester and Buffalo elections as a significant indication of war opposition. Taken together — a large German-American population combined with an active anti-war socialism — it seems arguable that Rochestarians did not have a overweening appetite to celebrate a war that cost so much and gained so little. Maybe we learned something in the twenty years from 1898 to 1918. 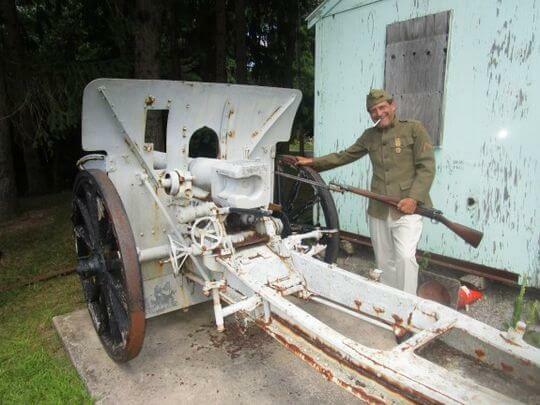 The Austrian cannon, however, is something…different. It was a friendly gesture to Rochester from Italy, certainly. However, it was still a trophy taken by the Italians, though most likely as post-war reparations (over a thousand guns of that model were handed over to Italy by Austria, along with thousands of other artillery pieces). Italy had a particularly tortured experience of the war, and propaganda aimed at Italian emigrants in the US and elsewhere was widely used to build international support for Italy — and to try to lure emigrants home to join the army. 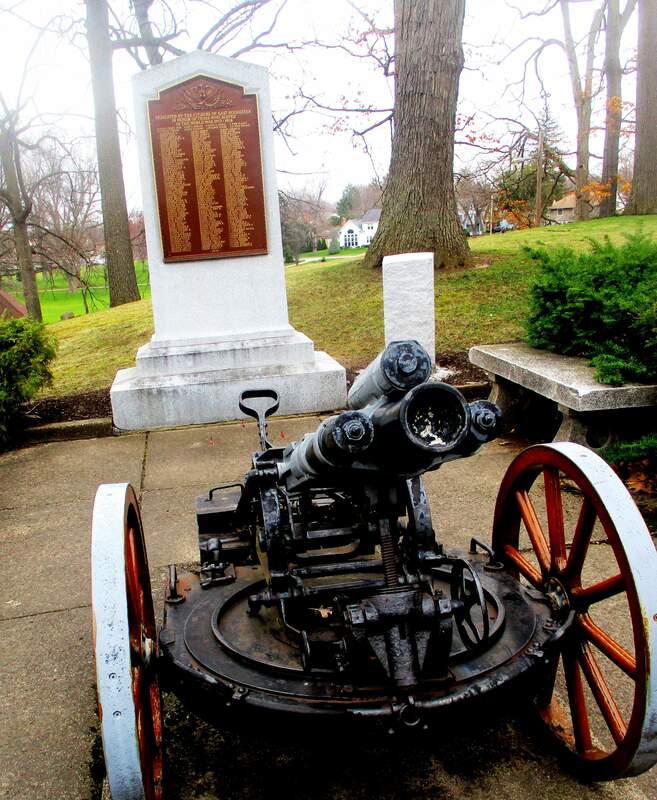 As home to a large Italian emigrant population, I am quite sure that the Austrian cannon was more than just a gesture of friendship — it was also a signal to Italian-Americans of Italy’s might and military success in the war. The monument with a sole meaning is rare; layers of meaning and symbolism can be present even in such a concrete and seemingly simple monument as a lone cannon. 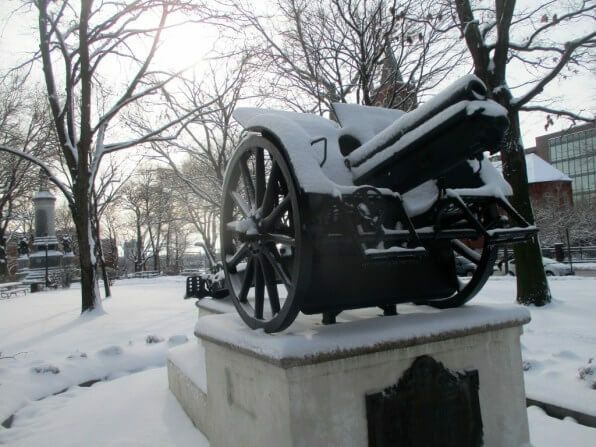 UPDATES: SEE The Austrian cannon is back in Washington Square Park. And some Italian Rochester history. from The Austrian cannon is back in Washington Square Park. And some Italian Rochester history. Michele Ashlee; A Passionate Photographer full of Grace and Vision.